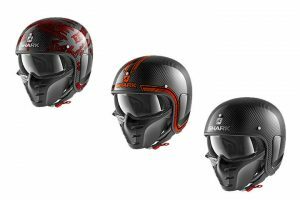 SHARK Helmets has introduced a brand-new model into its Metro division – a collection of helmets that combines contemporary elegance with cutting-edge technology. The iconic DRAK model has already achieved cult status and it is now joined by the S-DRAK, which is inspired by neo-retro culture. The S-DRAK boasts a carbon skin shell, an internal visor, an edgy mask, a streamlined look, an unconventional style and the highest-quality finishes, all of which will win over even the most demanding of riders. The shell comes in two sizes and is designed to fit the skull shape as closely as possible. 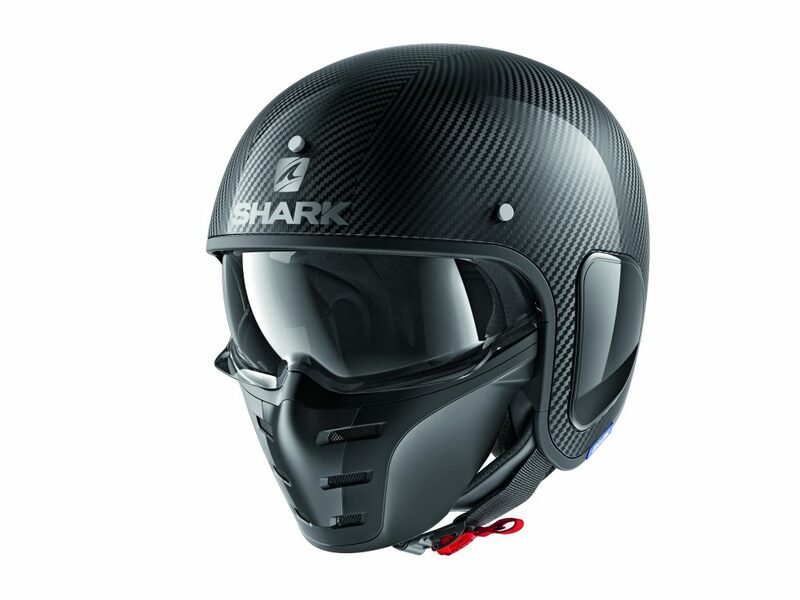 The interior is removable and washable and the helmet is compatible with the SHARKTOOTH® communication system. It also features a quick release visor system and SHARK Easy Fit for glasses wearers. The S-DRAK is available in eight colour options in sizes XS to XXL with RRPs staring from £299.99. The S-DRAK is available in UK dealers now. To locate your nearest dealer, visit www.nevis.uk.com or call 01425 478936. Professional windsurfers Benoît and Sylvain Moussilmani have recently been named ambassadors of the SHARK Helmets S-DRAK. The twin brothers are champions in their field and share their passions for being on the water, practicing extreme sports and riding motorcycles. As ardent defenders of the “surf culture”, they founded and continue to organize “Freestyle Cup”,a world-renowned, one-of-a-kind event held this week (19-24 June) in Marseilles, France that blends extreme sports competitions, the graphic arts and a trendy musical program (http://www.freestylecup.fr).